Efficiency is a measure of productivity. 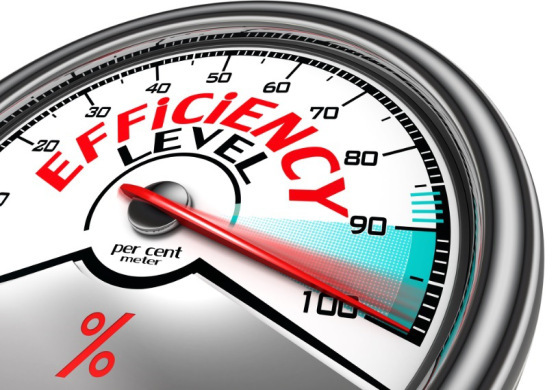 Efficiency means to have defined a goal of maximum productivity with a minimum expense or wasted effort. When you think about efficiency in terms of production, you need to generate higher outputs when compared to the inputs. So, efficiency in these terms means that you need to increase productivity, have fewer errors, and have an optimal use of resources. Usually, an organization is as more efficient as the more productive it is. So, when you want to increase the efficiency of your organization, you need to increase the productivity first, meaning that the input to output ratio must be lower.